How well do you know the Bride-to-Be? 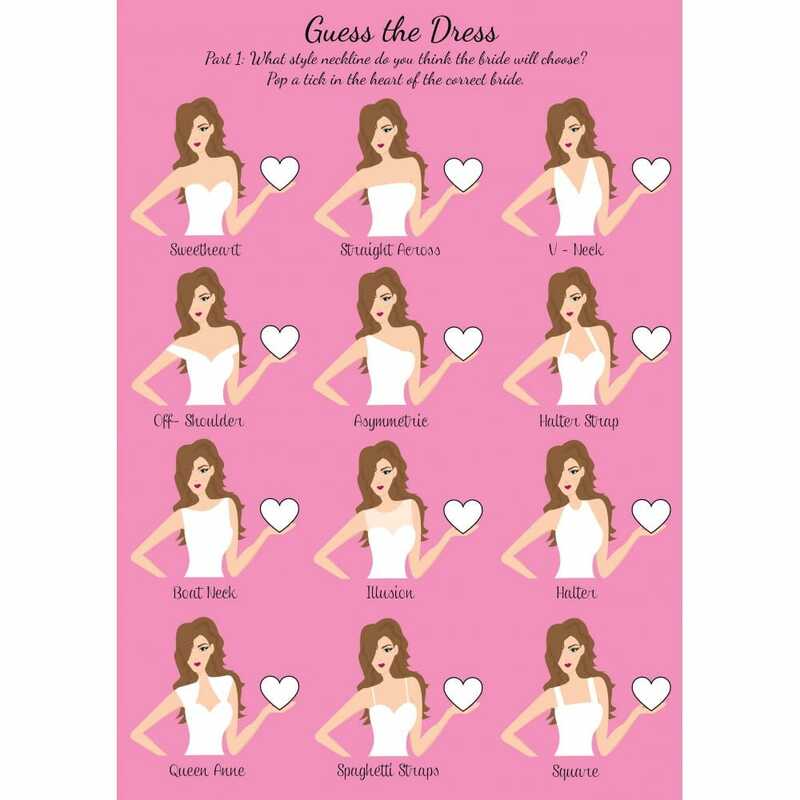 Download and print this 'Guess the Dress' game as a fun Hen Party pastime. Why not pass this game around in between dinner courses or during your Hen Party games session? The aim of the game is to guess the hemline and gown style of the Bride's wedding dress. Perhaps prepare a prize for the winner!